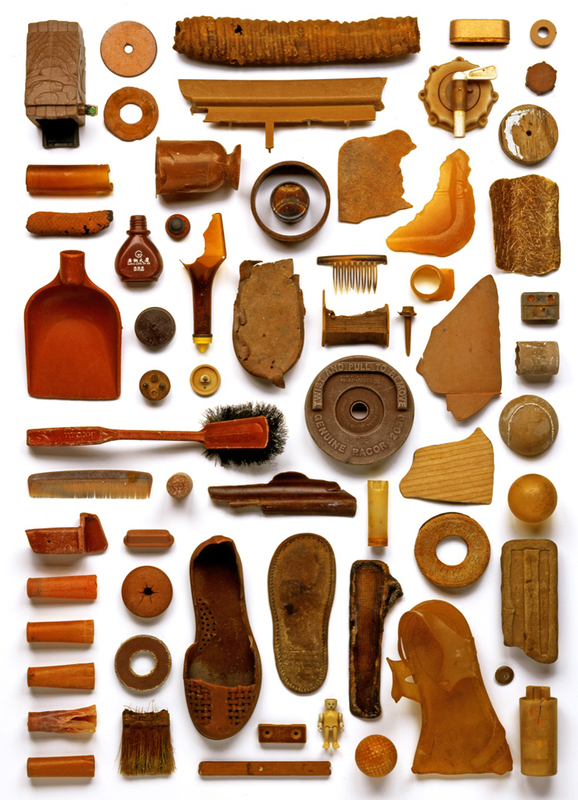 Tide Mark is created from a stockpile of man made objects collected over several years on a specific stretch of coastlne at Dungeneess in Kent. My walking path was always along the tide mark which is a visible line of seaweed mixed with flotsam and jetsam. 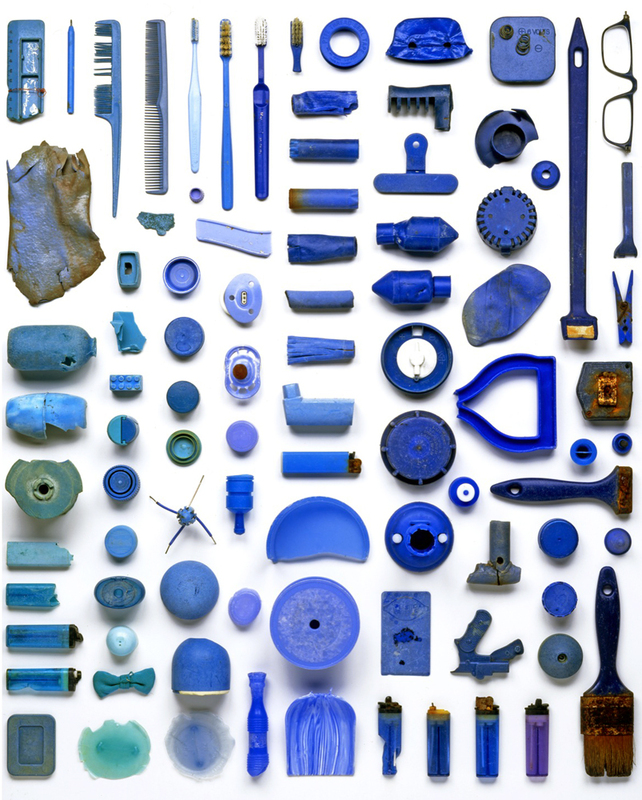 I was particularly interested in how the original colour and appearance of the objects had transformed over months in the hostile sea environment. These manufactured objects were at the end of their life cycle, battered, worn and of no use or function. 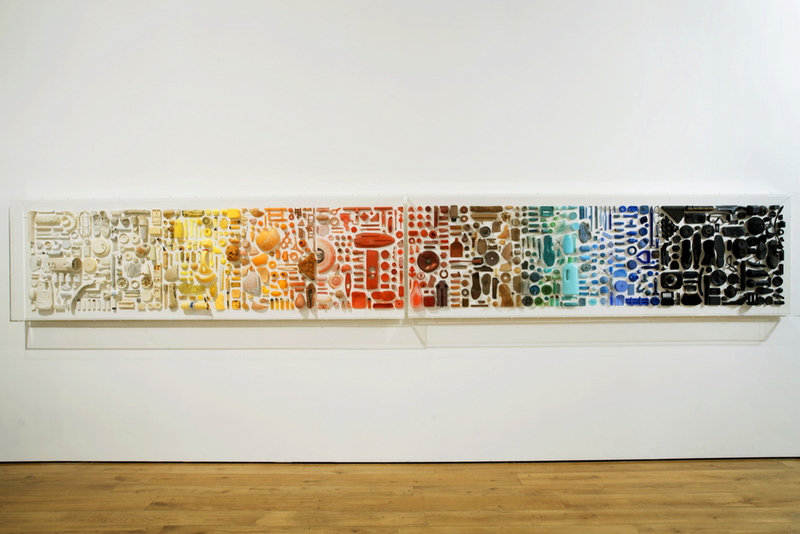 The elements were carefully categorized by colour to form a 6 metre long line of objects. Starting with white objects and ending with black, a kind of tide mark through the colour spectrum is produced. The collections were photographically documented individually and then composed together to create a line. Later in 2009, the actual physical objects were placed together in the exact same positions and displayed in two 3 metre long wall mounted Perspex vitrines. Perspex vitrines (x2) W300cm x H93cm x D14cm . Material :Found beach objects, painted MDF base boards and Perspex vitrines.